Happy Good Friday! Today the kids have a half day because of all of the snow days, but after that we will be doing an egg hunt and then off to the mall to see an overstuffed Olaf and the Easter Bunny! I wish all of you a blessed Easter this Sunday! 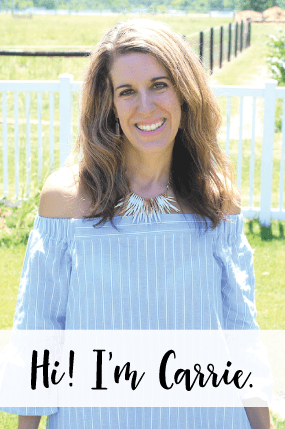 So, instead of my usual ‘catch up’ post, I am doing Five Ways to Style the Popular Floral Print this Spring! I have done a couple other posts similar to this and you can check out my Five Ways to Style a Plaid shirt HERE and Five Ways to Style Your Blazer HERE. Ok, so here we go. 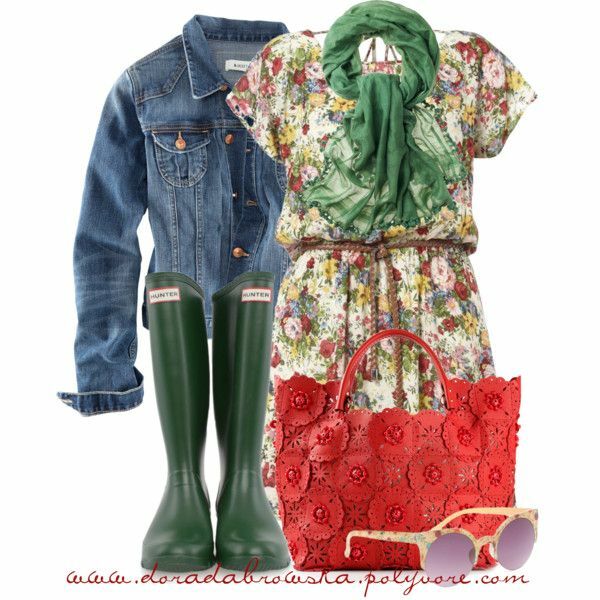 Five Ways to Style the Popular Floral Print this Spring – Shirt, Dresses, Jewelry, Hand Bags and Shoes. Floral shirts are so, SO fun, because you can wear a scarf, utility jacket, jean jacket, cardi or even a blazer over your shirt/blouse. 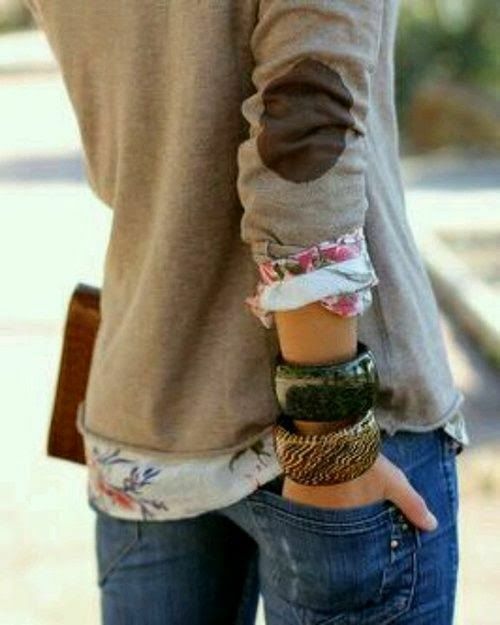 And, who doesn’t love lots of layers in the early Spring?! Pair your floral dress with a cardi, utility jacket or even a blazer! 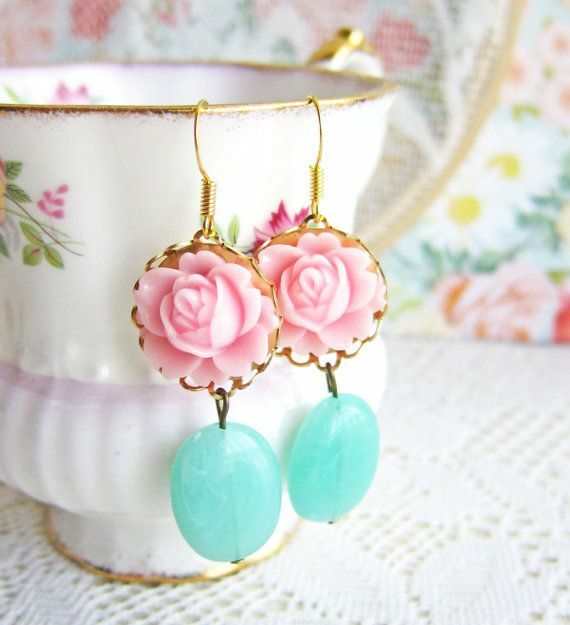 This will change up the entire look of your outfit and it will downplay the ‘business’ of the floral pattern. 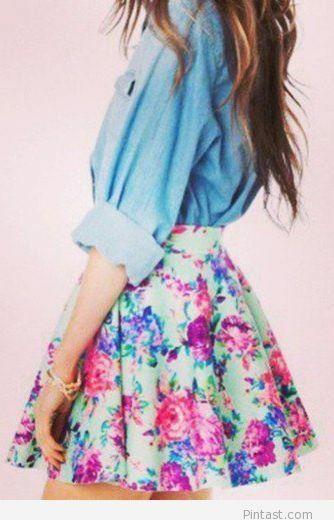 If you have a floral skirt, try wearing an over-sized chambray shirt with it. Adding a leopard print or chunky/thin belt to your floral patterned dress will also change up the look of it. 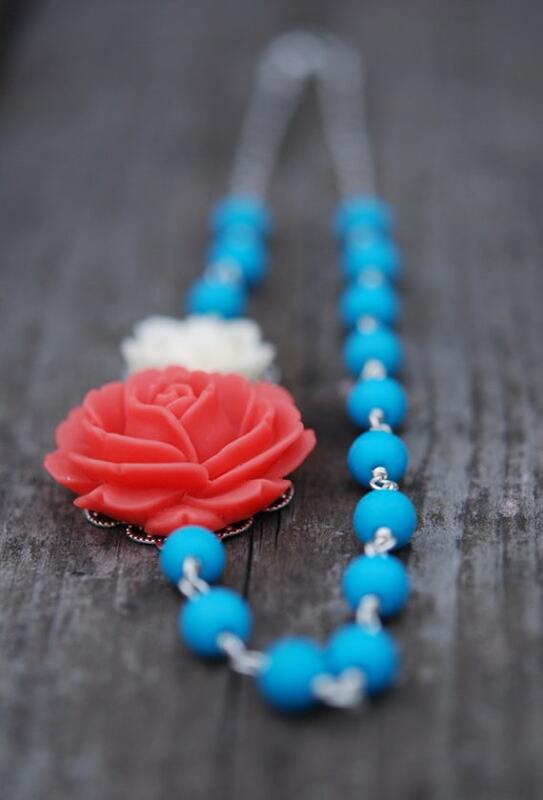 There is a lot of jewelry out there to add a little flower power to your outfit. 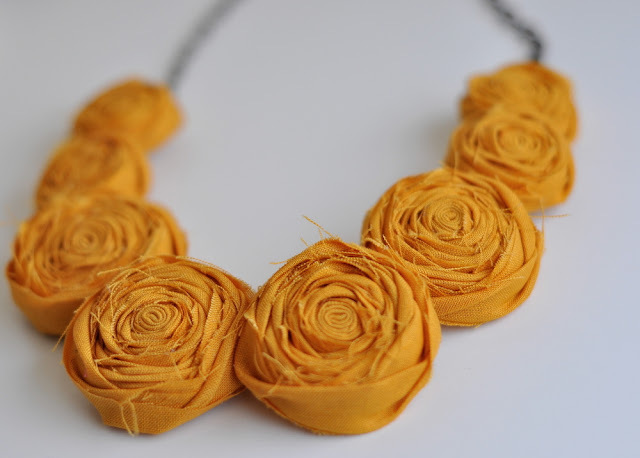 My favorite is a strand of roses around my neck in a bright color to contrast against my shirt. 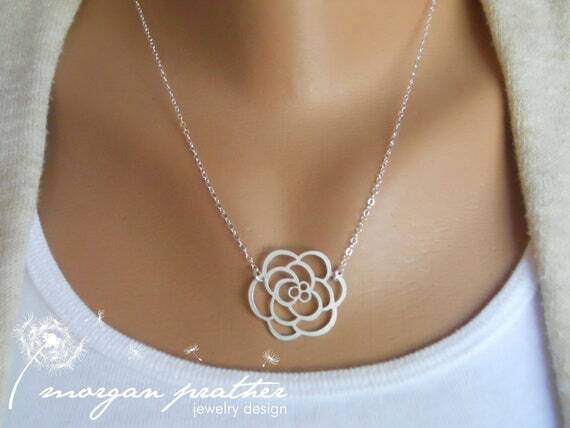 You can also go more simple with a silver or gold rose cut out. 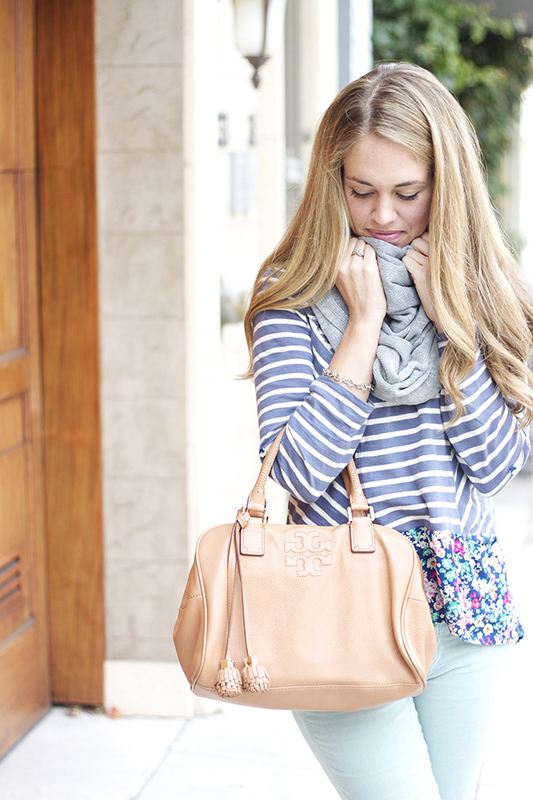 Floral clutches and hand bags are popping up everywhere. 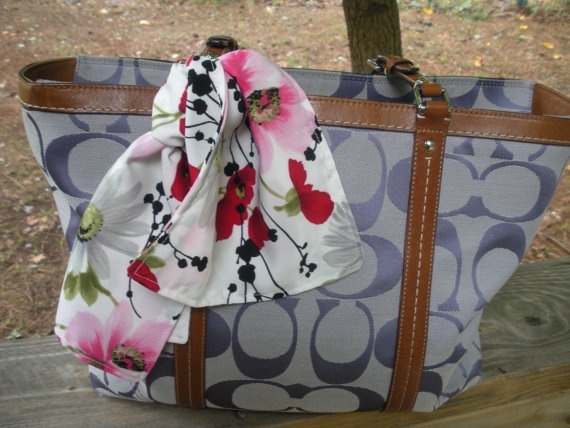 If you don’t have a floral print bag, don’t despair… you can tie a floral scarf to your regular purse, or add a POP of color by adding a brightly colored clutch to your floral print outfit. 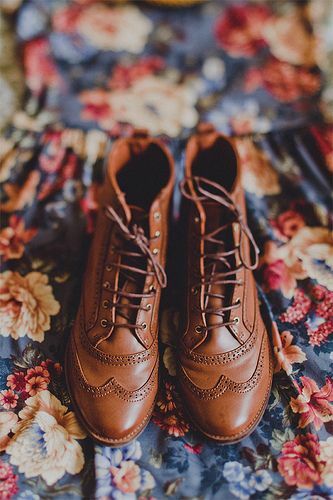 There are so many different ways to wear floral in your shoes this Spring. 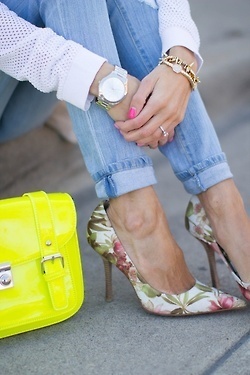 You can go for floral wedges, stilettos and even Toms carries a flat version with the floral print. What do you think? 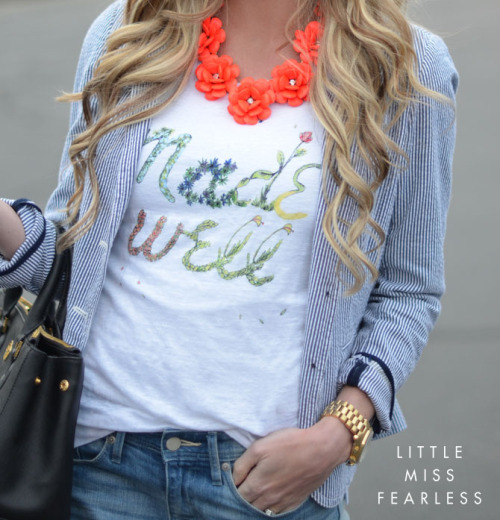 What is your favorite way to wear a floral print? 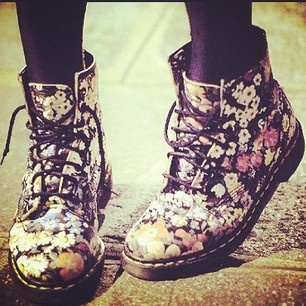 Have you gotten anything floral for this Spring?